Drag the sliders to change the binomial distribution parameters. 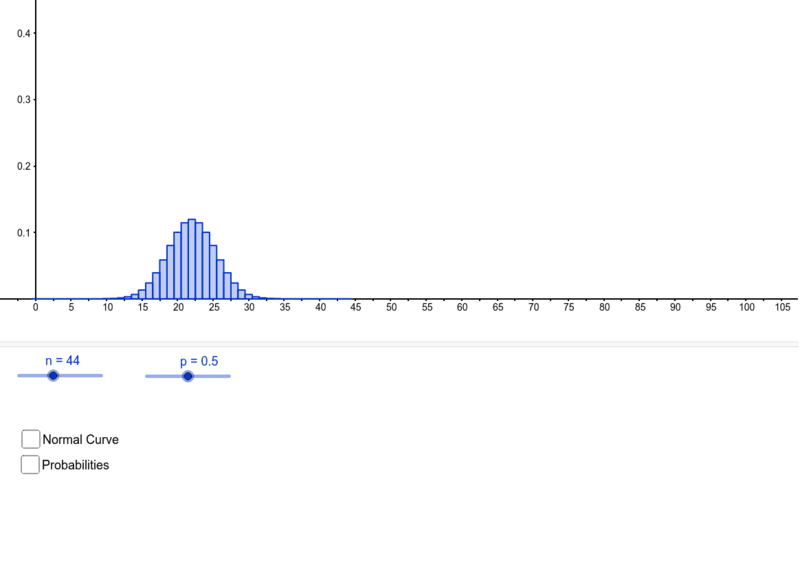 Compare the binomial distribution to the normal curve. Drag the arrows to explore the probabilities.